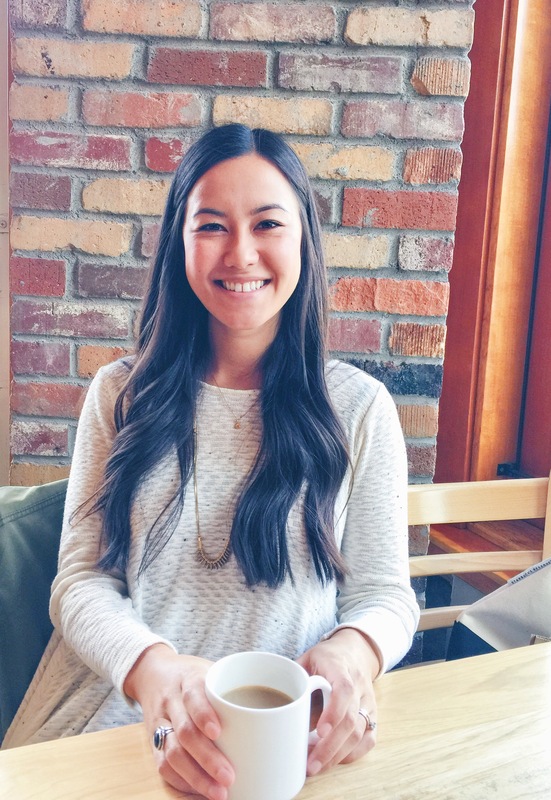 Thanksgiving is almost here and I have been counting down the days! Thanksgiving is my favorite holiday, it’s the start of the holiday season and revolves around family, friends, giving thanks and of course food. This year we finally get to host thanksgiving dinner for some of Eric’s family that are coming up for the last football game of the season and we are really excited. 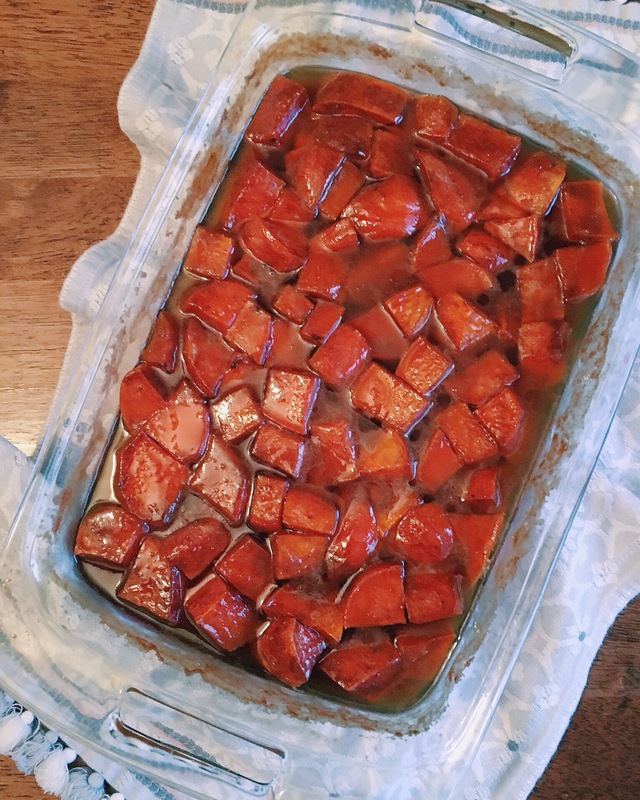 I have been thinking about what I will be cooking for quite awhile and still haven’t narrowed down my list quite yet, but one thing that I wouldn’t leave off the menu is these candied yams. This is the recipe that my mom has made every Thanksgiving as far back as I can remember. Though there are many yam recipes out there, these are by far the best I have ever had, even if I am a little biased. 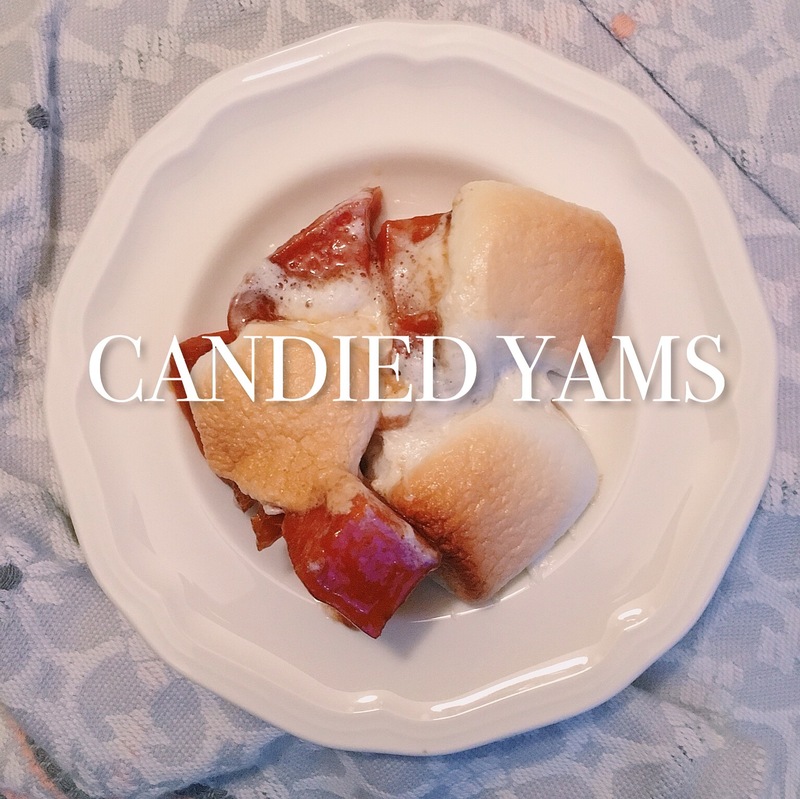 😉 These candied yams are simple with only three ingredients, but pack so much flavor in each bite. The secret is letting them cook long enough for the sauce to reduce and caramelize while occasionally spooning the sauce over top allowing the flavor to cook deep into each bite. Butter, brown sugar, sugar, brown butter, butter, brown sugar. All good things are made with these 2 ingredients! Like I said, this recipe is very simple and you basically just let the magic happen in the oven for an hour and a half and believe me, they are well worth the wait! 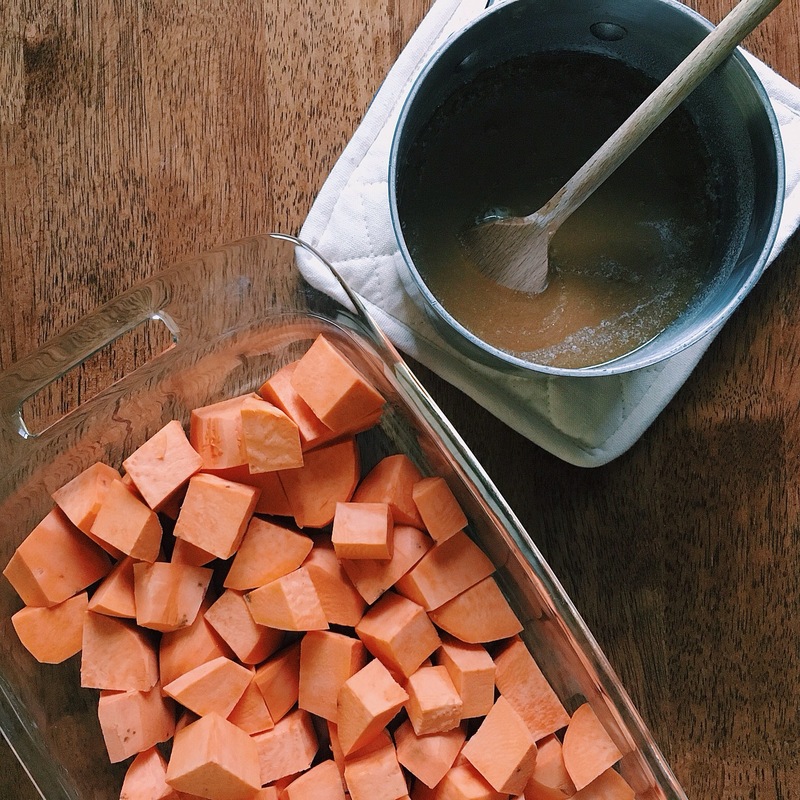 They are gorgeous if I do say so…the deep orange color is beautiful for a Thanksgiving spread. 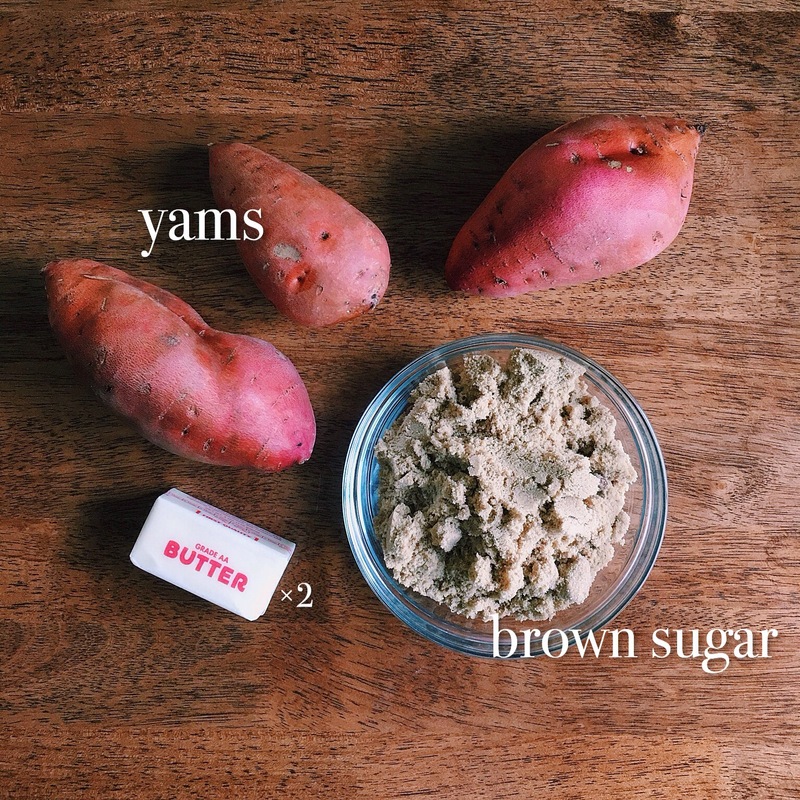 These yams will have you getting second and third servings, and probably licking your plate at the end of it all…and also having them for dessert since they could very well be dessert. Though they are sweet, they are the perfect compliment to any Thanksgiving dinner beside turkey, green bean casserole, mashed potatoes or any of your other family favorites. This year we are lucky to have a home game on Thanksgiving weekend. The past 2 years we have had a game in North Carolina and New Mexico, on Thanksgiving weekend, both of which I was able to go to. I am so excited to be home this year for the long weekend and to enjoy having Eric’s family in town for the game and hopefully a big win! Though I will be missing my family, I am so thankful to them for always supporting us in this football driven life we’ve chosen. 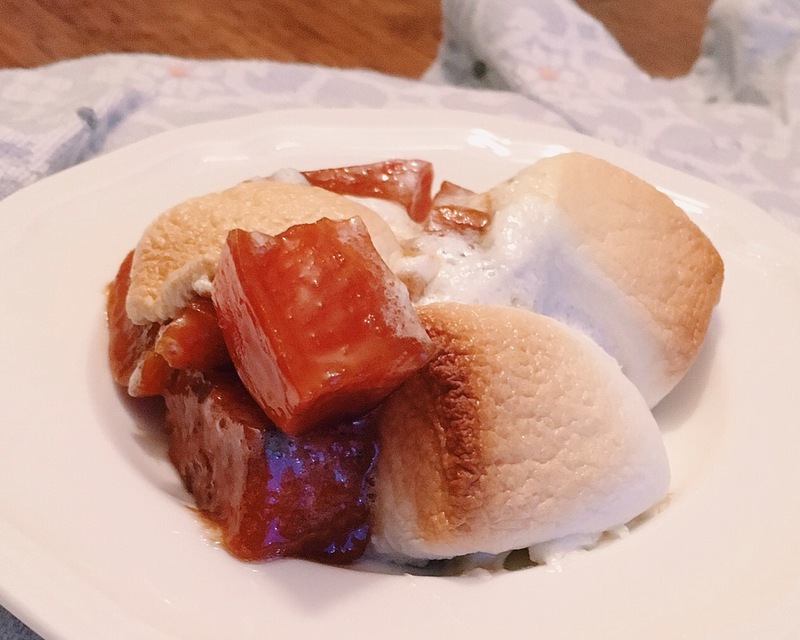 Making recipes like this, that you’ve grown up with, help keep us close to our family even when we can’t be with them and bring so much love to the table. Wishing you all a very happy Thanksgiving next week! Thanks so much for stopping by. 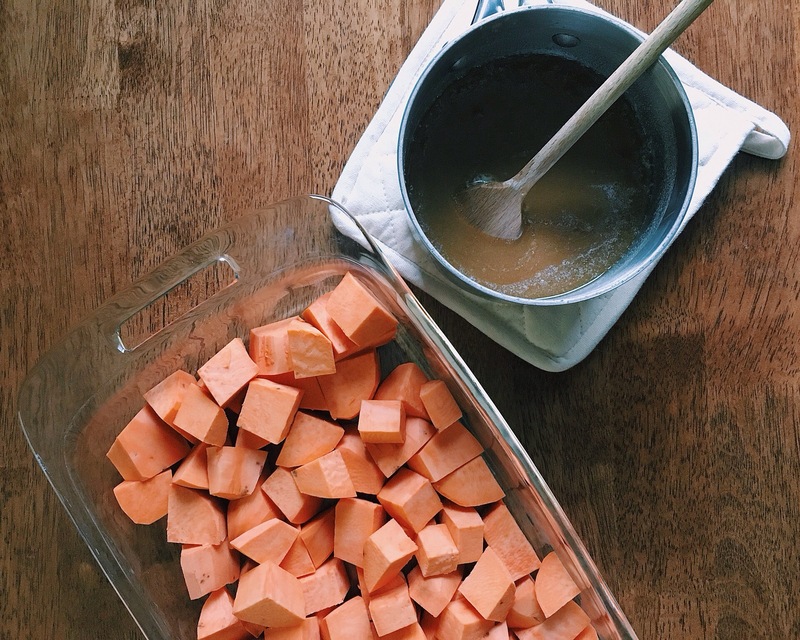 Wash, peel and cut yams into 1-2 inch size pieces, and put in a 9×13 inch baking dish. 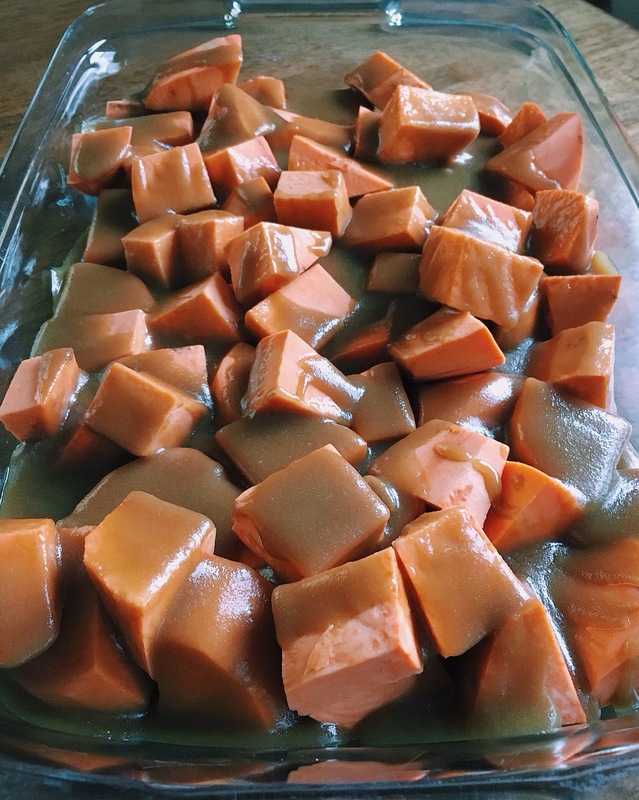 Melt butter in a small sauce pan over medium heat with the brown sugar, stir until just combined and pour evenly over the yams. Place in the oven, uncovered, for 1 hour and 30 minutes total cook time. 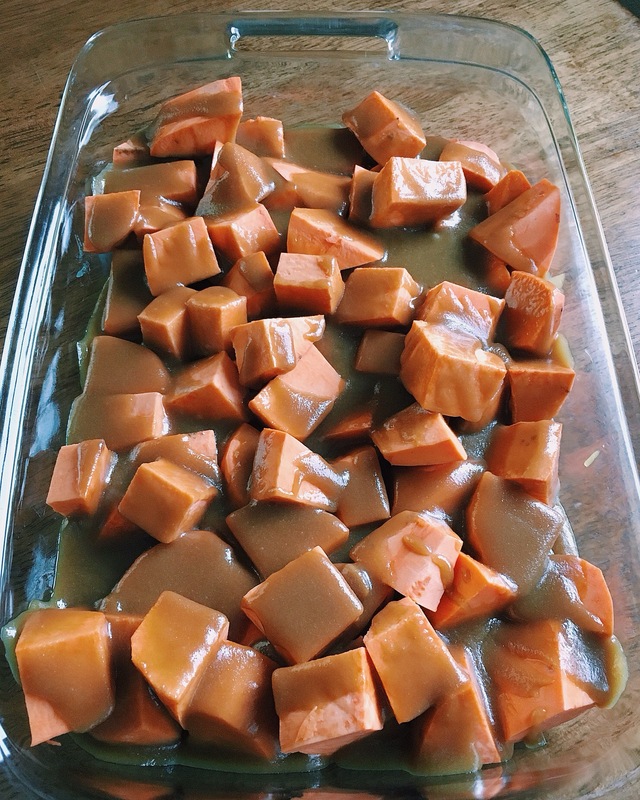 At about 45 minutes in the oven, and once the sauce is bubbling, take out and spoon sauce over the top about every 20 minutes, being careful not to stir and break up the softening yams. The yams will be soft, and the sauce will have reduced by about half by the end. 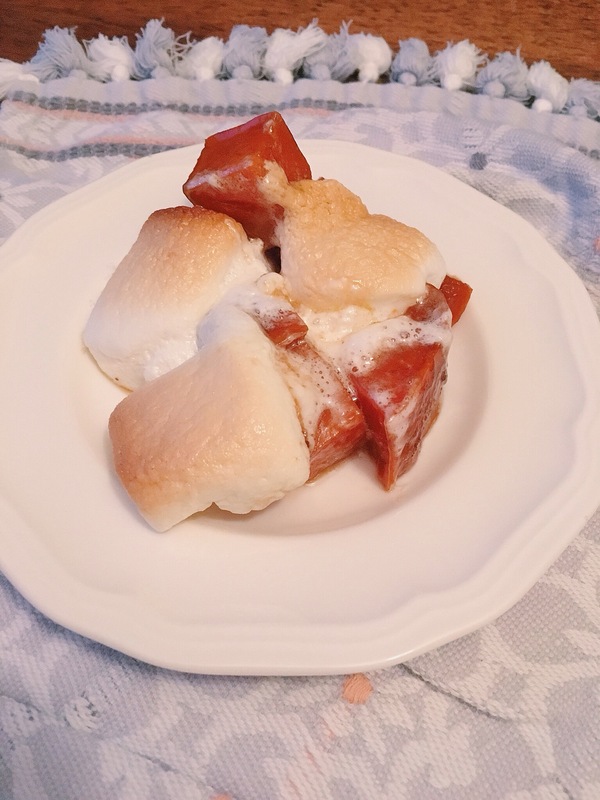 If youd like to add marshmallows, once the yams are finished cooking, take them out and add marshmallows over the top. 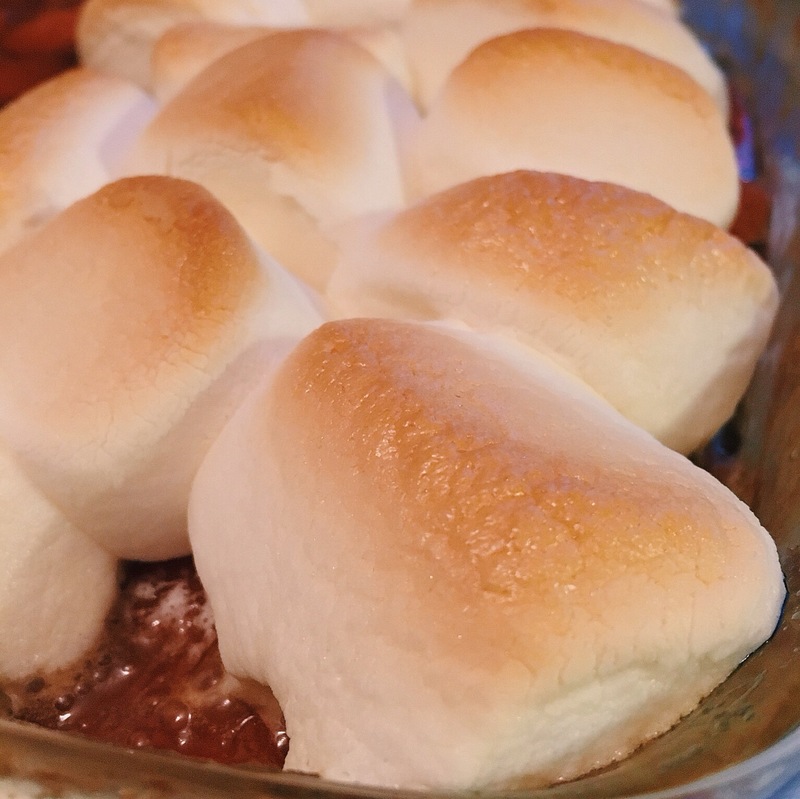 Turn the oven broiler to low and put the yams back in on the middle rack and let the marshmallows brown for 3-4 minutes before serving. 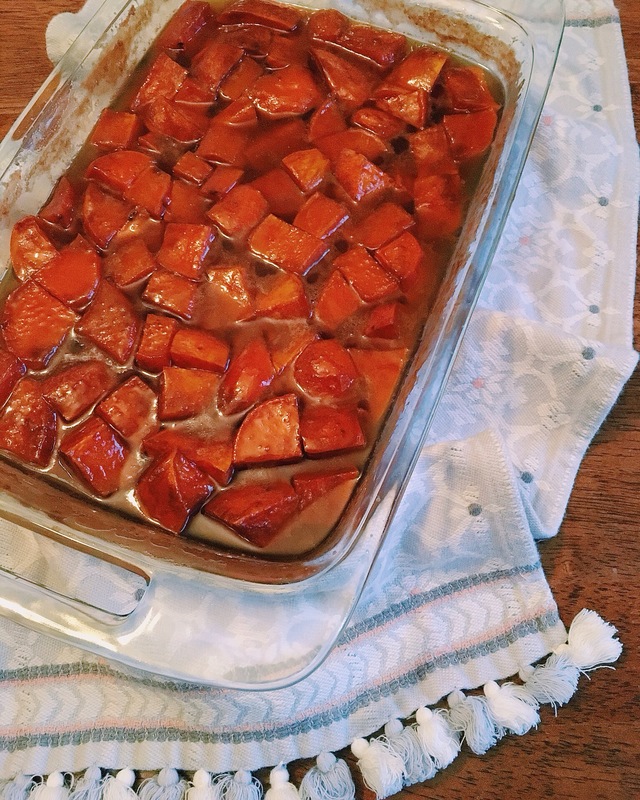 I hope you enjoy this Candied Yams recipe as much as my family and I do!